*Deadline will not be extended. 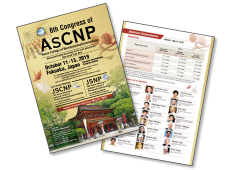 First authors of poster and oral presentations should be AsCNP members. Please see and check your AsCNP membership in the AsCNP homepage (http://ascnp.org/membership/index.html). When the first author is not an AsCNP member, please become an AsCNP member (http://ascnp.org/membership/appform.html). Authors are required to indicate their preference for a poster presentation, oral presentation or either. However, the decision of presentation type is made by program committee. First authors of accepted posters should make a presentation in the poster sessions which are organized by chairs. First authors should be presenting authors and registered participants. Only presentations of first authors who have registered and paid their registration fees will be scheduled and included in program/abstract book. The congress committee has all rights to publish the accepted abstract in program/abstract book. Authors’ information, affiliations, title, abstract and ethical considerations should be submitted. Authors’ information: Full names of all authors should be fully indicated correctly and in the right order. The accepted abstracts will be published in the program/abstract book with the indicated authors’ and affiliations’ names without any corrections. The age of first author should also be indicated for award selection. Affiliations: The affiliations of all authors should be indicated fully with the laboratory, department and university/institution names without any abbreviations. Countries and cities of the affiliations also should be indicated. Title: Title of abstract should not exceed 250 characters. The first word and all proper nouns contained in the title should be capitalized. Do not use all capitals. Abstract: Abstracts should not exceed 2,500 characters. Authors' names, their affiliations and the title of abstract are not included in this limit. Abstract should consist of four sections: Background and objectives, Methods, Results, and Conclusions. Images, tables, diagrams and graphs are not allowed to be included in the abstract. Ethical considerations: All animal and human studies must be approved by the corresponding institutional review boards. Others: All authors of poster and oral presentations should disclose relevant conflict of interest (COI) at their presentations. Abstracts should be allocated to a specific category for the scientific program. Authors should select a topic in each area of Research, Disorders and Drug & Methodology. “AsCNP Outstanding Research Award for AsCNP2019” is the most valuable award in AsCNP2019, which will be awarded to the outstanding researches selected from all of poster and oral presentations. Presenting authors must present in the poster or oral sessions for the nomination of the award.  The selection will be made by AsCNP2019 program committee. The awardees will be commended at the closing ceremony. “Excellent Research Award for AsCNP2019” will be awarded to the excellent researches in the categories of Clinical, Preclinical, Translational, and Case Report studies. Presenting authors must present in the poster or oral sessions for the nomination of the award. The awardees will be commended at the closing ceremony. “Excellent Presentation Award for AsCNP2019” will be awarded to the excellent presentations by students, graduate students, residents/researchers, senior researcher, or principal investigators. Presenting authors must present in the poster or oral sessions for the nomination of the award. The awardees will be commended at the closing ceremony. Please check other presentation or travel awards supported by AsCNP membership societies including JSNP, JSCNP and TSBPN in each website.